Relationships are often complex, and most couples have highs and lows in their relationships. It happens to everyone – not everything is perfect all the time. But sometimes, people will stay in a relationship that’s clearly not working. The relationship goes from having highs and lows, to having all lows. 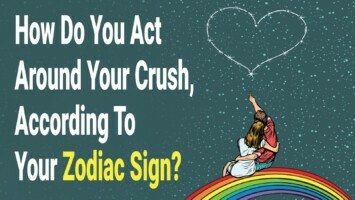 This is about the time that people with healthy understandings of relationships decide to cut ties and let the relationship go- sometimes, even amicably, even if the ending of the relationship is saddening. 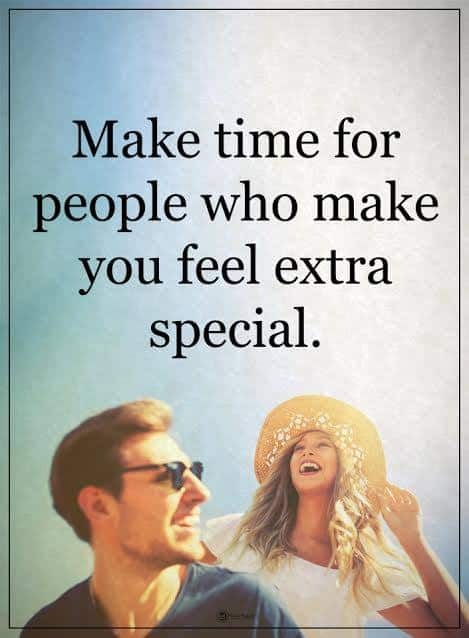 There are times, however, that someone doesn’t know when it’s time to end the relationship, and keeps staying even long after the expiration date. They’re unhappy in their relationship, but they stay anyway. What exactly is the psychology behind why people stay in relationships that are no longer working? One of the reasons that someone may stay in a relationship that is no longer happy or healthy, may be because they have low self-esteem. Someone who has high self-esteem is able to see that they’re worth more than a relationship that constantly makes them miserable. They’re able to understand when it’s time to leave for their own mental health. On the other hand, someone who has low self-esteem may feel that if they speak up about their unhappiness in a relationship, they’ll be faced with rejection. People who have a fear of being lonely are much more likely to stay in a relationship that isn’t working, or one that is actively making them unhappy. This fear is strong enough to override any other feelings that they may have towards their partner. To them, being together and unhappy is much more preferable to being alone and unhappy. The only way that they’ll be able to cure this particular feeling is to learn to find happiness from within. Learning how to be alone and love yourself regardless is key to being able to conquer the fear of loneliness that keeps people trapped in unhappy relationships. This happens far too often with unhappy relationships. Many people stay in unhealthy relationships because they believe that their partner’s flaws will eventually sort themselves out. Often times, the wait isn’t worth the misery. People can and do change all the time. People are constantly changing and growing and adapting to life. Unfortunately, it isn’t someone else’s job to wait around for that change to occur. It will only bring resentment and unhappiness from both partners. The best thing to do is let your partner find that change on their own. They may change – eventually. But there’s no reason to wait around holding your breath. This often happens with women for whom their partners are the sole or primary provider of the household. A fear of financial instability in this day and age isn’t altogether unfounded. However, this fear can lead many people into staying in a relationship that has long turned sour. The best way to conquer this fear is to have both resources and a support system in place. Family and friends are often more than willing and able to help out when someone is in need of leaving a bad relationship and financial stability is the only thing that is standing in the way. Financial planners are also available to help make a plan for a stable financial future. Children make a bad relationship even more complicated. Sometimes, trying to stay together for the children isn’t the best thing for them, either, and it definitely isn’t the best thing for either partner. A bad relationship between parents often affects the children just as much as it impacts the parents. Oftentimes, the unhappiness and abuse that one partner may endure during the relationship is often also suffered by the children. Staying in an unhealthy relationship is only reinforcing to your children that they, too, should endure and suffer when they’re no longer happy. Taking the steps to leave a relationship with children can be daunting and difficult, but it can be done. 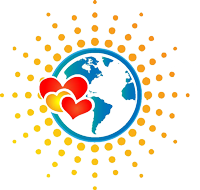 Reach out to crisis centers if needed, and surround yourself with support from friends and family. Unfortunately, when people grow up in abusive households, they’re often more inclined to believe that the abuse they go through is normal. This is a contributing factor into why a person will stay in a relationship that is actively harmful to them. They may be unable to recognize what is or isn’t abuse, as the harmful parts of a relationship – jealousy, possessiveness, even violence – have become normalized to them over the years. People who experience this may need help recognizing what a healthy relationship looks like. Being a source of support for someone who has had abuse normalized for them is an important step into helping them leave their partners. Often times, people who are in bad relationships will compare it to other, unhealthy relationships that seem worse. They’ll justify to themselves why they aren’t leaving by thinking, “Well, at least he doesn’t hit me”, or “At least she’s not violent”. They may not know that there’s more to relationships than what they’re currently experiencing. People who do this are more likely to stay in a relationship far past a time anyone else with a healthy understanding of relationships might do. People who do this are more likely to stay in a relationship far past a time anyone else with a healthy understanding of relationships might do. 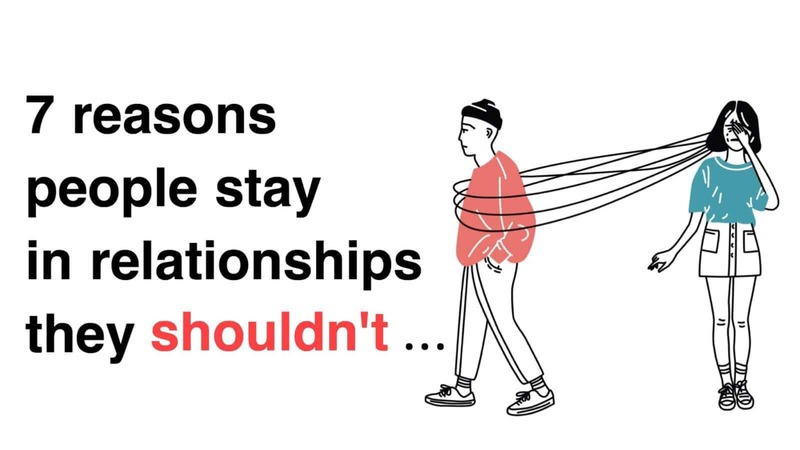 Understanding the reason that people stay in unhealthy relationships is the first step to being able to help someone you love – or yourself – get out. Whether the relationship has simply run its course, or it’s become a source of abuse, the most important thing is to understand that relationships do not have to be a source of stress and unhappiness. Relationships can be healthy, happy and secure. Once someone is able to recognize why they’re staying, it’s easier to start searching for resources to allow them to leave.